No gym membership required, no pre-booking needed, walk-in availability. Our booths are up to the minute, high power sun showers, boasting the latest lamp technology ensuring optimum results every visit, making your money go further…..and with a wide range of quality skin creams, tan accelerators, and eye protection available at reception, you can be sure of a beautiful sun-kissed tan in no time. The Health Club has state of the art Sauna Facilities. Burn up to 500 Calories during a 25 minute infrared session up to 500 Kcal are burnt on average and all you have to do is sit there! Also getting rid of toxins in the body corrects metabolic imbalances which cause poor digestion and weight gain. Stimulating your blood circulation is an excellent way to aid the reduction of cellulite. The infrared sauna does just this…..plus the infrared heat penetrates deep enough into your body to liquefy subcutaneous fat, which is then released via sweat. The infrared energy penetrates deep into your body, as much as 2-3 inches, this penetration causing a heating effect within your muscles and organs making your body react; your pulse rate increases, your elevated heart rate then causes a cardio training effect which will improve your physical condition. 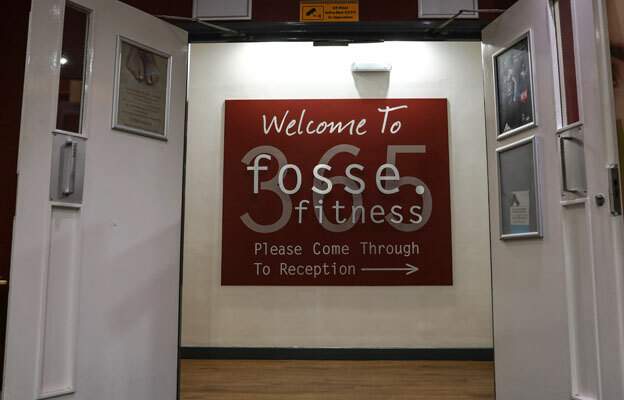 © 2019 Fosse Fitness. All rights reserved.